In 1909, Earl Douglass, a paleontologist working for the Carnegie Museum in Pittsburg, PA discovered a formation layered with prehistoric plant and animal fossils. What he found that summer day turned out to be part of the most complete Apatosaurus skeleton ever discovered. He called the digsite Carnegie Quarry. For several years he was busy digging, excavating, documenting and shipping out fossil bones for the Carnegie Museum, which funded his efforts. The original monument was established in 1915 to protect 80 acres in the quarry area. 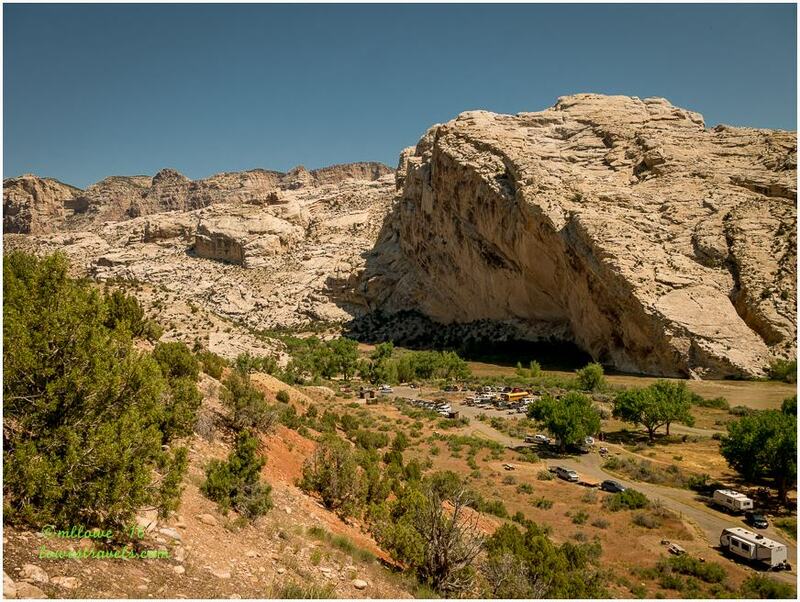 Today, Dinosaur National Monument has increased its size to 210,000 acres, and not only is the quarry protected, but also the scenic canyons cut by the Green and Yampa rivers, and many cultural features left by ancient cultures. We didn’t know what to expect when we visited the quarry, since neither one of us are really into dinosaurs. 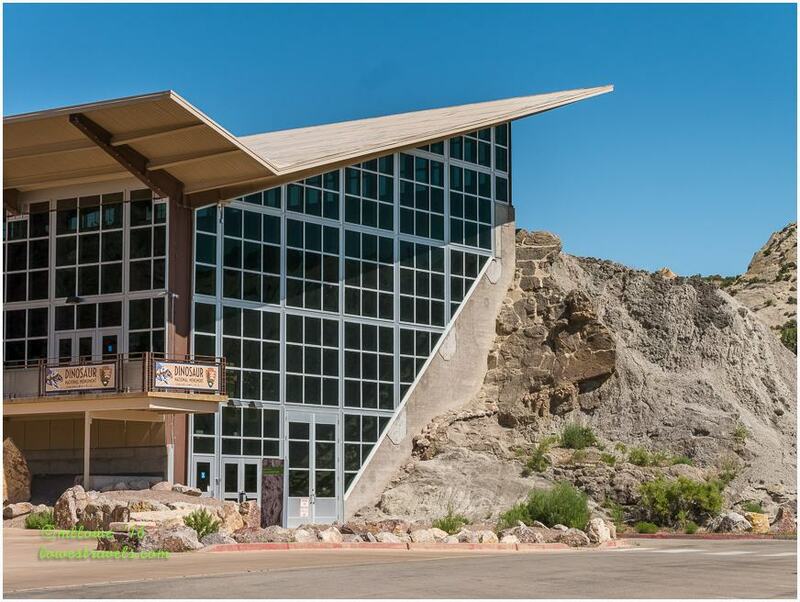 What we saw was a preserved cliff face enclosed within a large building and covered by hundreds of large fossilized dinosaur bones. It was what remained of the ridge that Earl Douglass had excavated for 15 years. 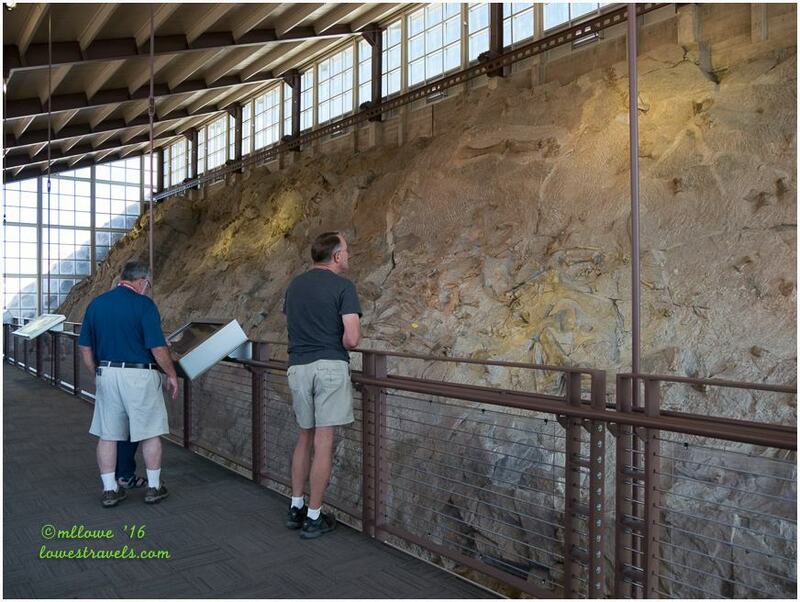 Inside the hall we saw fossilized bones embedded in a sloping rock formation. From the plaques we learned it was once a sandbar on the edge of a large river. 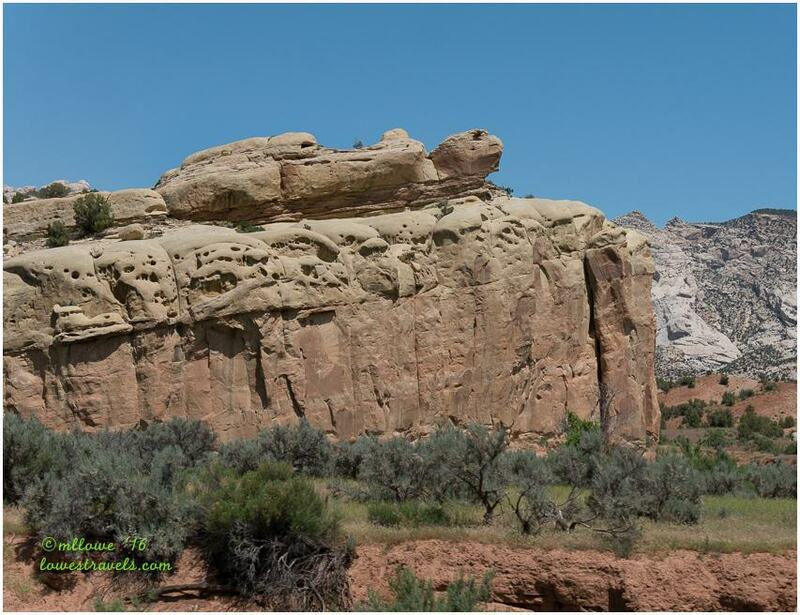 As the river carried animal carcasses downstream, many became stuck on the sandbar, which eventually turned to rock. 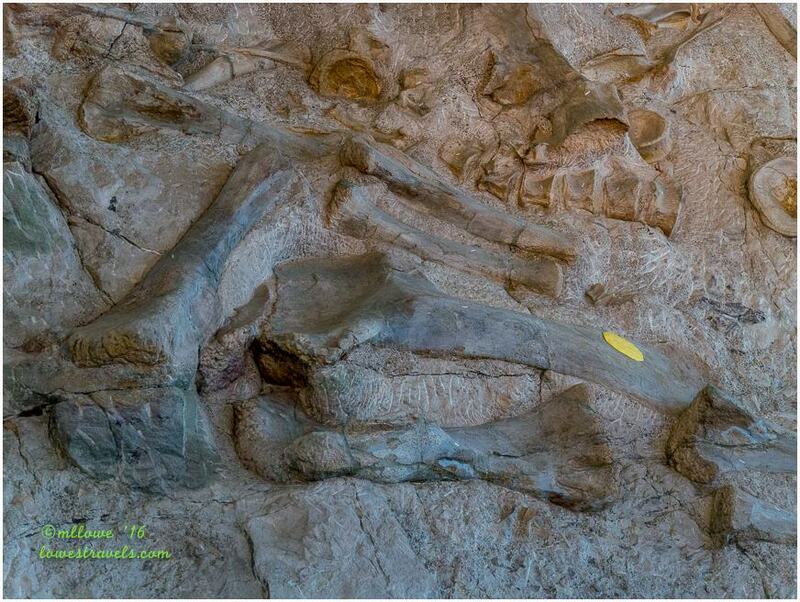 As a result, fossils from hundreds of creatures were concentrated into a small area. The fossilized bones we saw were partially exposed and left intact in the rock. In 1923, Douglass recommended that the government leave the bones and skeletons in relief and house them. He believed doing so would create “one of the most astounding and instructive sights imaginable.” It took more than 30 years for his vision to become reality, but his assertion was correct – this place is truly unique. 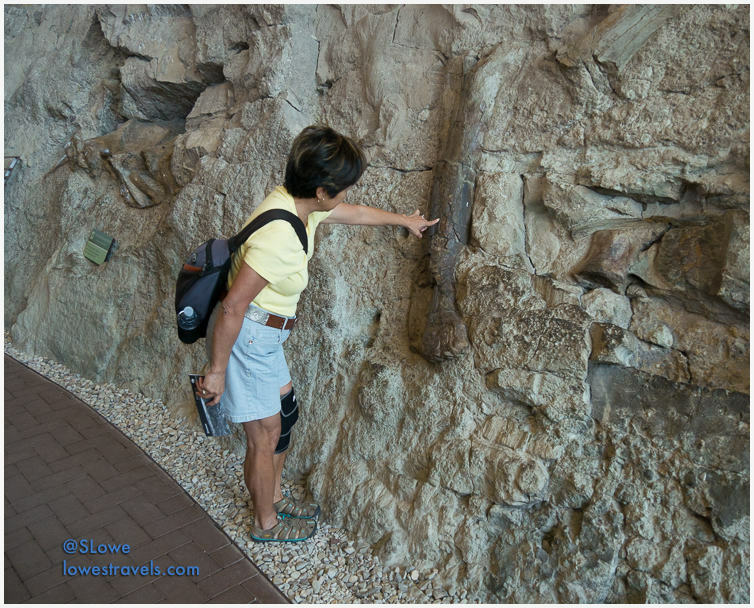 We viewed approximately 1,500 fossilized bones from 100 individual dinosaurs and other ancient animals that make up the “logjam” on the quarry wall, including Allosaurus, Apatosaurus, Camarasaurus, Diplodicus, and Stegosaurus. There were a few huge bones we were allowed to touch, this one almost as big as me! There are two ways to get to the exhibit hall, shuttle bus or hike. 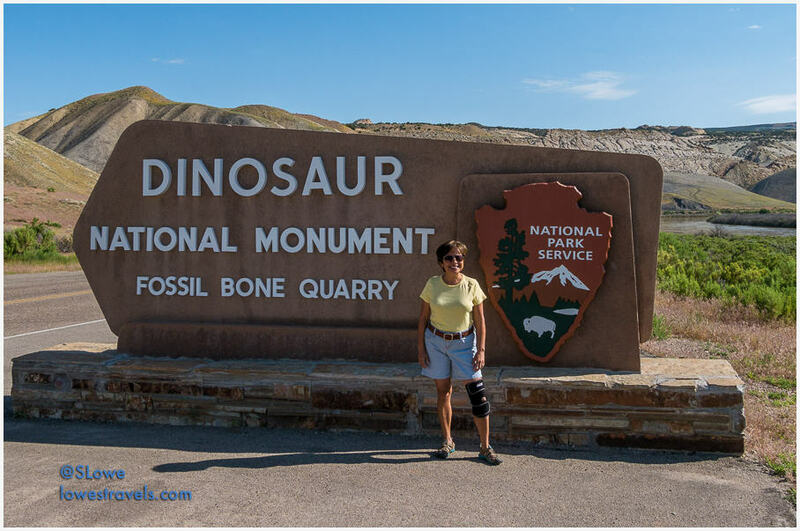 The hike would have allowed us to see more bones along the trail, but my current “bone issue” forced us to take the shuttle. 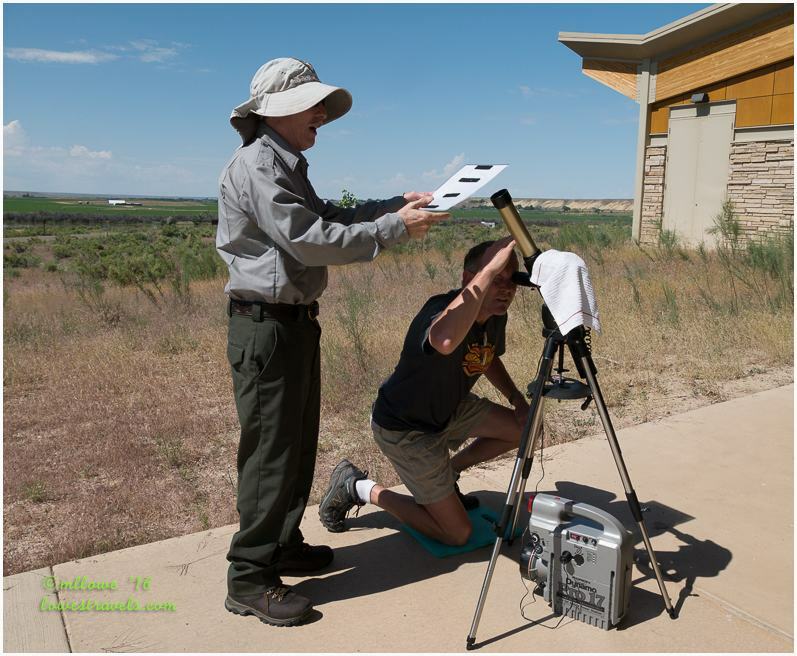 Back at the visitor center, the park rangers were running a special event titled “Safe Views of the Sun”. It was excellent, and we were happy our timing was perfect to catch it. 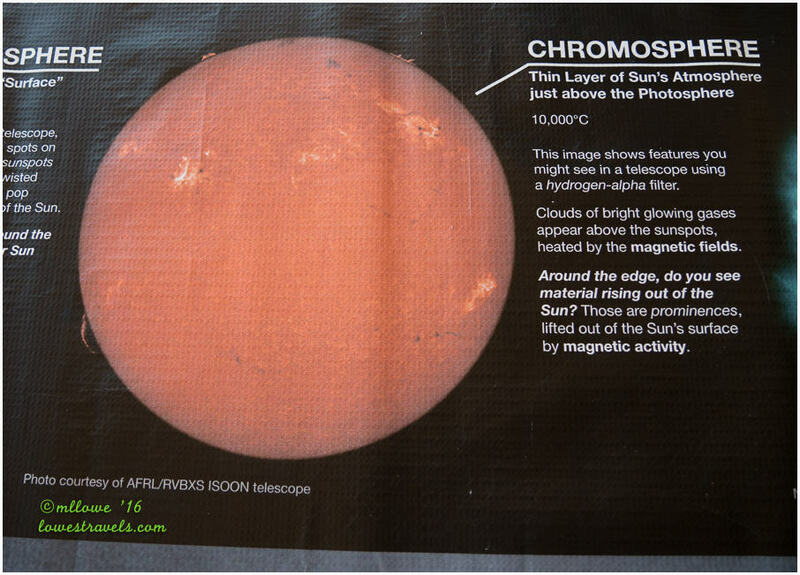 Through the telescope we saw our star in real time, including some disturbances rising out of it that the ranger informed us were “prominences.” Very cool! Josie Basset Morris was a homesteader and local legend who lived here for 50 years. Walking through her home and experiencing the beauty and solitude of her land got us to thinking about what life must have been like here over 100 years ago. 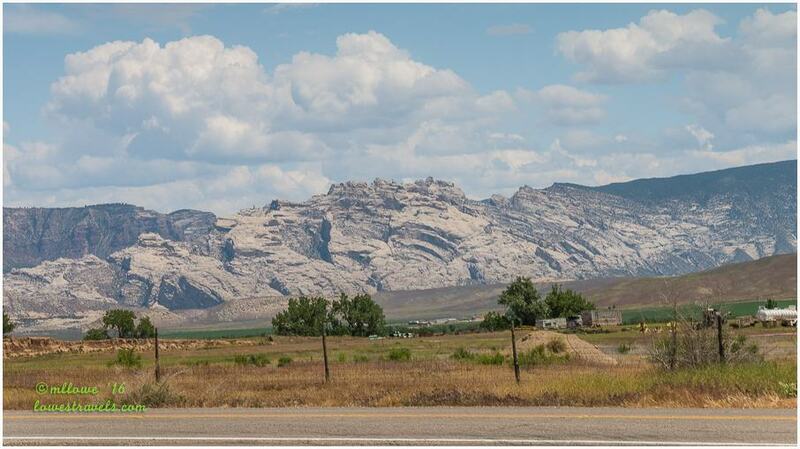 And with that adventure completed we’re moving on to our last stop in Utah! Next up: This gorge is flaming! It’s an amazing place, isn’t it? We visited a couple of times, the last time being when we left Utah to move to Virginia in 1991. I don’t remember having to take a shuttle to the exhibit hall, so we must have hiked up to it, or we could drive up to it back then. Looks like we will have to return to the area to revisit the updated hall, and also check out everything else that the area has to offer. What an amazing place! It’s been on our list for awhile now, even though we’re not really into dinosaurs, either. (Although I must admit I was intrigued when I recently learned that ALL dinosaurs were originally covered in feathers!) 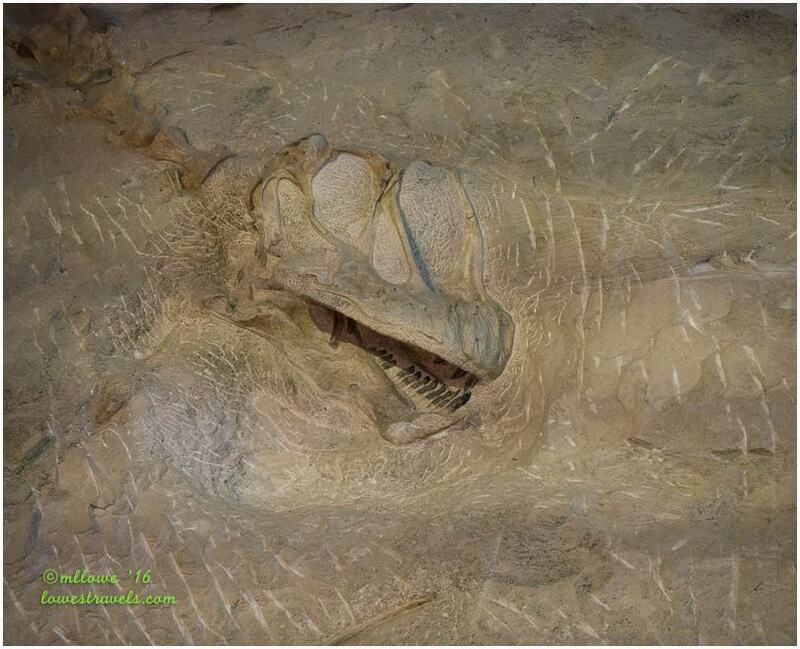 Great photos of the fossils (that one dinosaur looks like it has piano keys for teeth.) Looks like you’re having a good time, even with your knee injury. Hope you’re healing well. 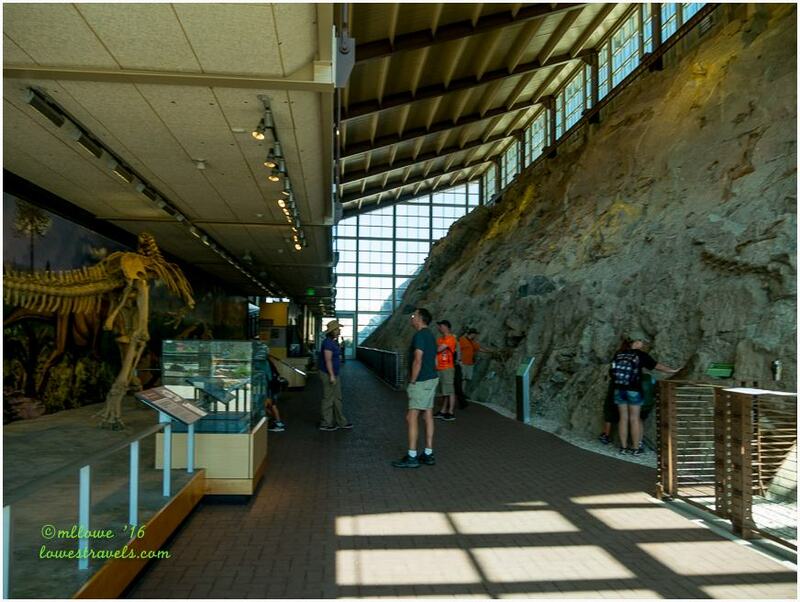 I went here with my family when I was younger, and my only memory is of that giant wall of dinosaur bones! The rest of the park looks very pretty as well, guess I better add this to my list of places to return to. I can’t image seeing one of those dinosaurs up close and personal. What an amazing time in our earth’s history. Excellent!. We are back in Massachusetts at Blackman’s Campground for the summer. Me too, this has been on my list ever since we stopped on a lark at the Mammoth Site in Hot Springs South Dakota. Now I know where they got their idea of having the site inside a building. 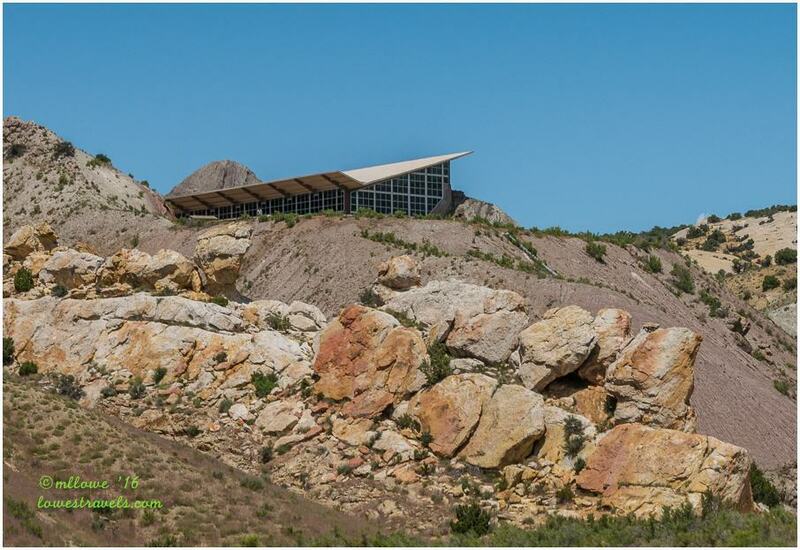 Put it on your list if you are ever near Wind Cave which is definitely worth a stop too. It’s just south of there. I felt like you do about Dinosaurs- ehhhhh. But Mammoth changed my mind. Love that there are also the cabin and the petroglyphs. Great pictures of the bones. They really are amazing. 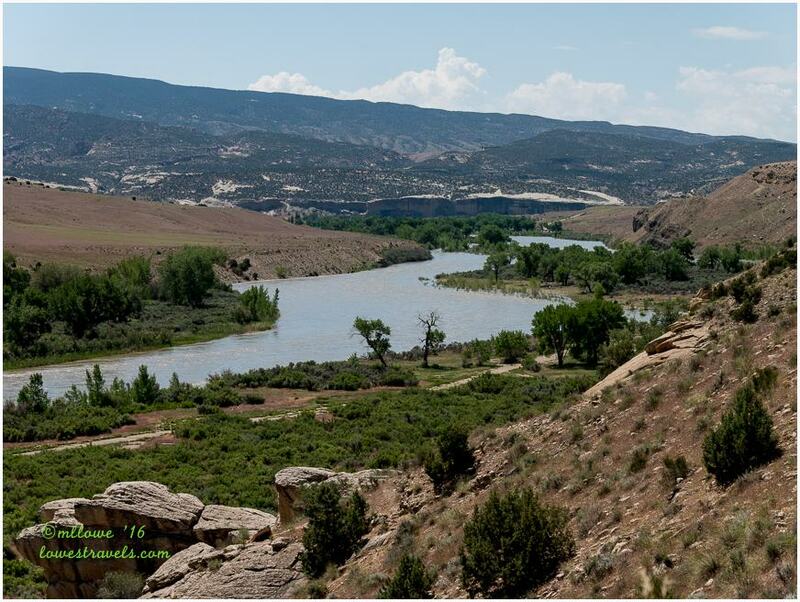 Love the Green River view. This area is on “my list” in the very near future. Where did you stay?